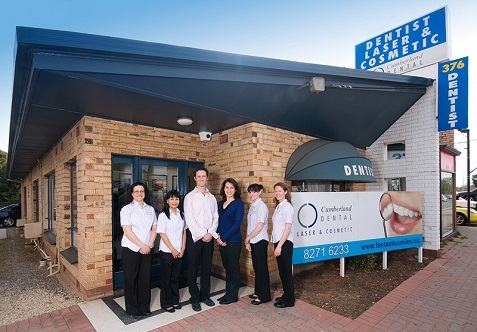 We know you have many choices when choosing a Dentist in Cumberland Park, SA so we have made requesting an appointment a simple process via our website. If, for any reason, you cannot keep a scheduled appointment, or will be delayed, please call us as soon as possible. Private health insurance claiming is made easy with Hicaps at our front desk. Simply swipe your card and your rebate is instantly deducted from your bill. Cumberland Dental does not participate in Health Management Organizations; however, we will be happy to file your insurance claims for you. We accept checks, cash or credit cards. We also offer flexible payment plans through Denticare. Please ask Helen or Di on our front desk about how we can make your treatment more affordable. Denticare is here to help you pay for treatments and procedures your insurance doesn’t cover. We offer low minimum monthly payment options so you can get what you want and when you want it. Now you don’t have to worry about saving up for the procedures you want and need. With Denticare, the decision’s in your hands to get what you want, when you want it. Its a simple way to get you the smile you deserve.